The steps below outline how to reconfigure the data for import. When injury or illness data is exported out of the system and imported back in, the import results may look as though the codes have imported correctly. However, when the Form is opened the specific field may be empty. This means the import format was incorrect, and the data needs to be deleted and re-imported. 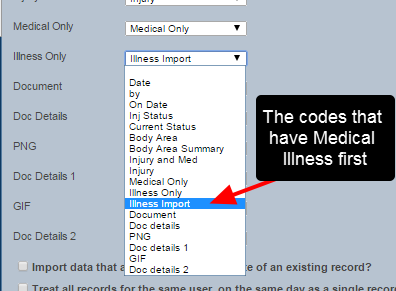 To ensure the Illness Codes import correctly, you need to add in Medical Illness to the exported codes. 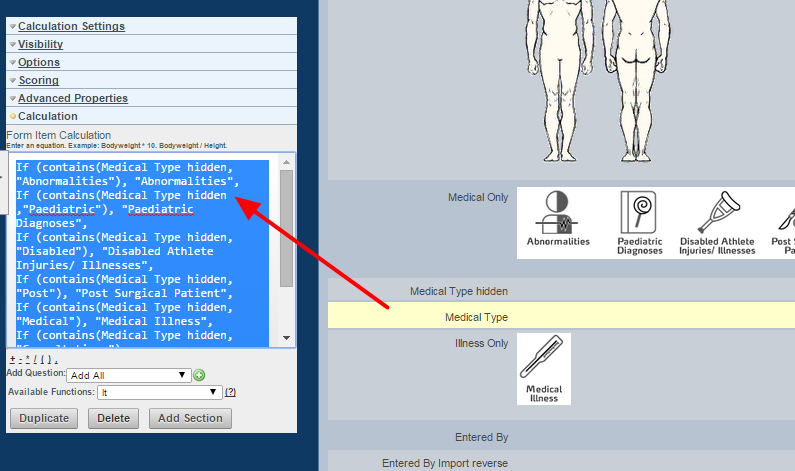 The exported codes for the Medical Illness file need to have the words "Medical Illness" added to the start of the code. This example here shows that the exported code of MVXX Environmental Illness, has been changed to Medical Illness MVXX Environmental Illness. To do this a separate column was set up, and the original code was set to concatenate with "Medical Illness " (note the space at the end of Illness). 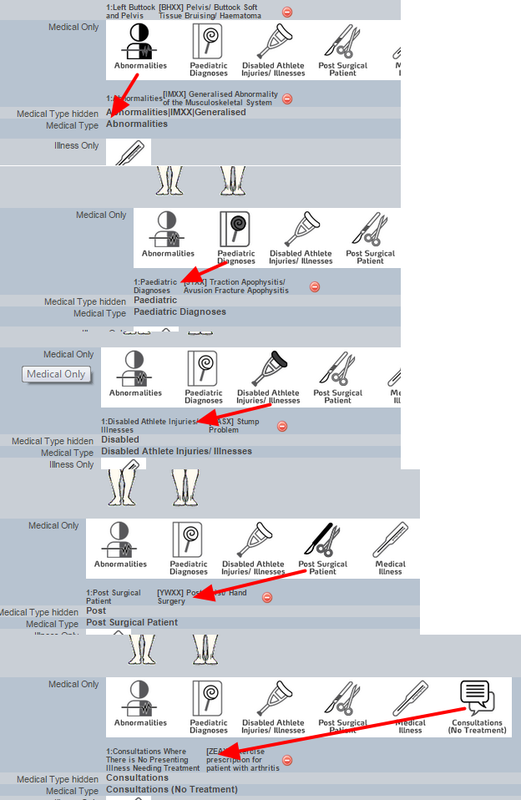 When the form is opened, the Illness Code should display as expected. If it doesn't then you may have mapped the wrong column, or you may not have set up the concatenate correctly. 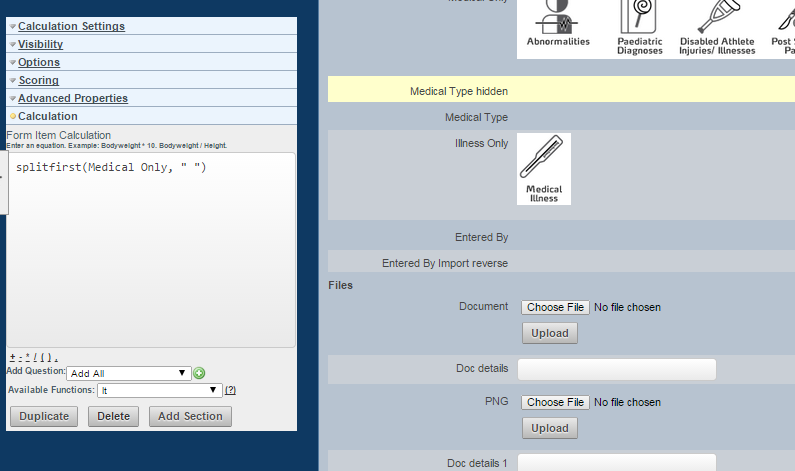 To import in data for the Medical Code field, this needs changes to the event form. Unfortunately, for this work around, you will need to add in new fields into the form. 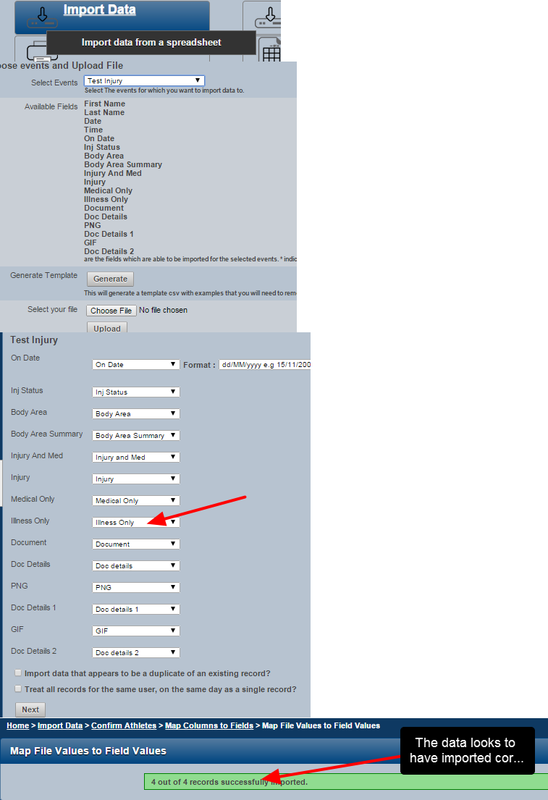 Zoom: To import in data for the Medical Code field, this needs changes to the &nbsp;event form. Unfortunately, for this work around, you will need to add in new fields into the form. 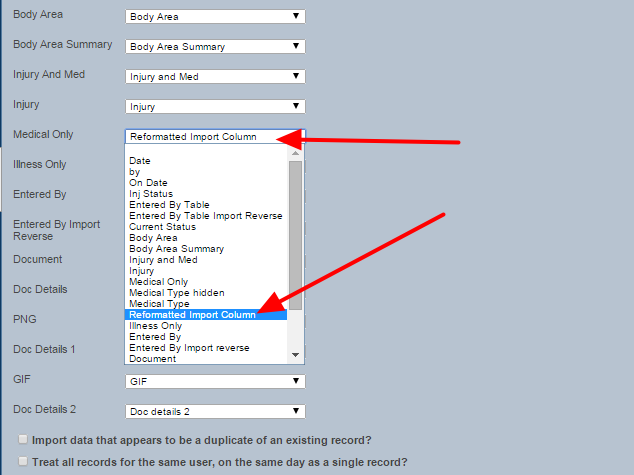 To be able to import in data for the Medical codes you will need to add in calculations into your medical form which split out the type of field it is, and then this field will need to be concatenated with the code before re-import. N.B. to get these to recalculate, you will need to run resave on this data. Check for the optimal times to do this. If you have any questions or concerns, please check BEFORE you try and import or delete any data!